With the smoke from the fires around us, there is a constant haze over us. 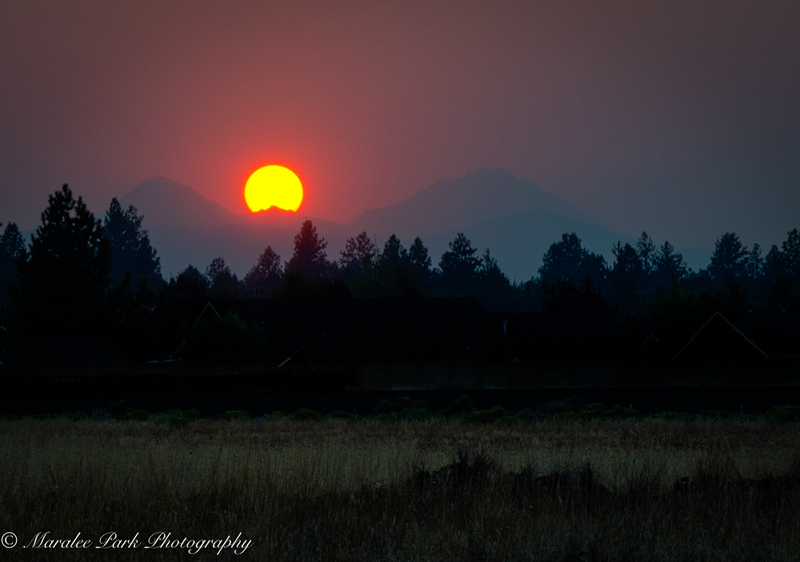 This was last night’s sunset with the sun setting behind the mountains. Gorgeous in a scary way. Sad that the color is probably affected by fires.